Serhiy Dmytrovych Maksimenko, D.Sc. (psychology), professor, Honored Scientist, Academician of the Academy of Pedagogical Sciences of the Ukraine, Secretary-Academician of the section “Psychology, Age Physiology and Defectology” at the Academy of Pedagogical Sciences of the Ukraine, Director of G.S.Kostyuk Institute of Psychology at the Academy of Pedagogical Sciences of the Ukraine, President of Psychologists Union of the Ukraine, full member of the International Board of Psychologists (U.S.A.), the author of 27 monographs and over 400 scientific papers, the author of the book “Genetic Psychology” and of the primer “General Psychology” (published in the Russian and Ukrainian languages), co-author of the first Ukrainian primer “Pedagogical Psychology”, remarkable expert in the domain of pedagogical and developmental psychology. Based on the series of theoretical and experimental studies accomplished under the guidance of S.D.Maksimenko, the school of genetic psychology was founded, which implements the ideas of developing and educating instruction. He exercised supervision over post-graduate students and competitors for an academic degree, who defended 300 Ph.D. theses and 48 doctoral theses. 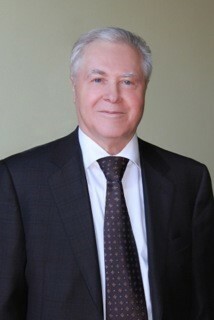 As a member of the International Board of Psychologists (U.S.A., 1991), S.D.Maksimenko is in charge of coordination of studies on development and application of experimental methods in the field of instruction and personal development.